Fishing may be the last of the hunting occupations to survive as an industry. McCloskey, a scientist, author, and commercial fisherman of worldwide experience, lived and worked with fishing people from Chesapeake Bay to Labrador, on small Norwegian boats and huge trawlers, and with Canadian sealers, over the last dozen years. This is a first-hand account of the lives and working conditions of self-sufficient, fiercely independent people battling not only the elements but also technological and political changes. McCloskey is a keen observer, not a judge, with an eye for history and context, and an insider's knowledge. 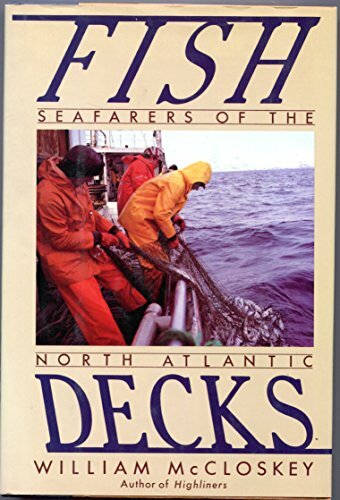 His vivid descriptions of maritime fishing might well be placed beside Peter Matthiessen's Men's Lives (LJ 5/1/86; one of LJ' s &quot;Best Books of 1986&quot;) for anyone interested in understanding the hard price these people pay for their chosen way of life. Highly recommended for general as well as specialist and YA readers.<br /><i>- Roland Person, Southern Illinois Univ. Lib., Carbondale</i><br />Copyright 1990 Reed Business Information, Inc.